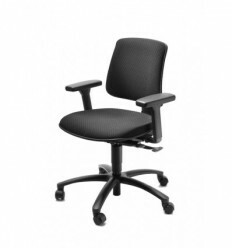 The Logic 400/300 is probably the best ergonomic chair on the market. The Logic 400 can be adapted to suit the individual, taking into account their height and weight so that the correct loading is placed on the body. 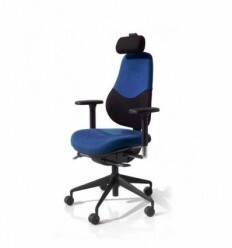 The degree of neck and lumbar support needed is also taken into account, resulting in a chair that fits you, follows your smallest movement and gives you full strain relief, support and comfort. 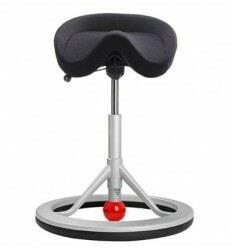 Your back is fully supported in every sitting position. Gaja and Leather Fabric Swatch. We stock Gaja Black. 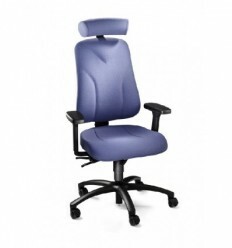 Logic 400 – the ultimate back care office chair. 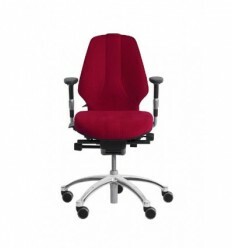 How is it different from other chairs? 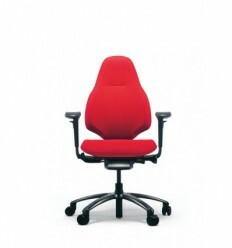 It is a chair that fits the user. 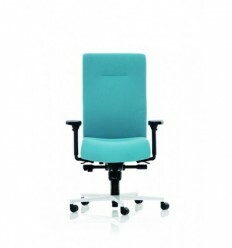 The Logic 400 will continue to support your back while you lean forward to type or back while you are on the phone. A chair made for you. 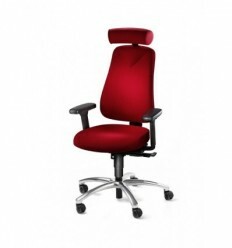 As you sit in it you will feel the difference. 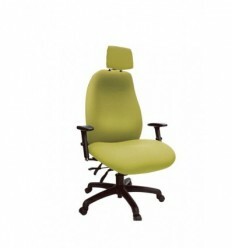 A genuine orthopaedic chair for the office. 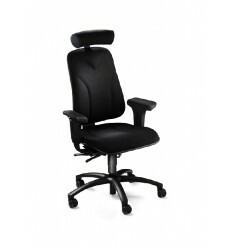 The degree of neck and lumbar support needed is also taken into account, resulting in a chair that fits you, follows your smallest movement and gives you full strain relief, support and comfort. 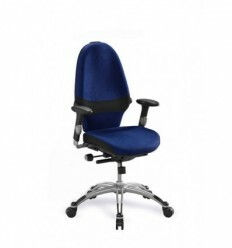 The back is fully supported in every sitting position. 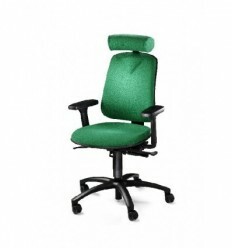 Many chairs carry the label “orthopaedic chair” without any solid basis for this description. Sit in the Logic 400 and you will feel the difference. The Logic 400’s design is inspired by the human anatomy, and by two joints in particular – the knee and the hip. You will notice the effect as soon as you sit down. 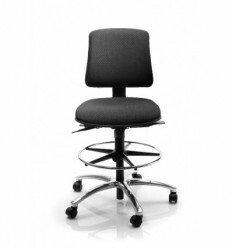 The lumbar support remains in the correct position, regardless of your movements, which helps facilitate an upright posture. 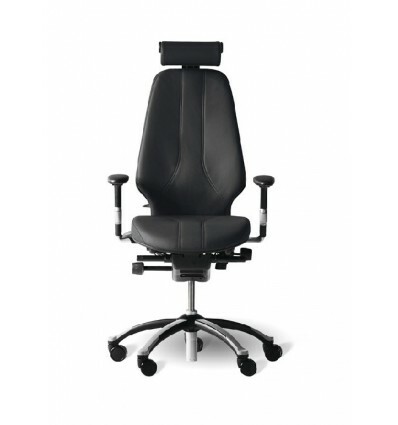 This is because the backrest height remains constant, regardless of the seat angle. Your feet always remain in contact with the floor, minimising the pressure against the underside of your thighs, which eliminates numbness due to restricted blood circulation becaues the vertical movement of the front of the seat is minimal when leaning backward or forward. Your next position is your best position. 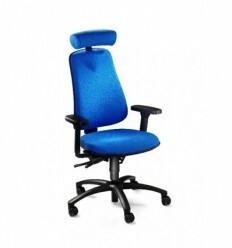 As office work often involves prolonged and constrained sedentary work, the introduction of a chair that encourages movement can add huge benefits to health of worker. 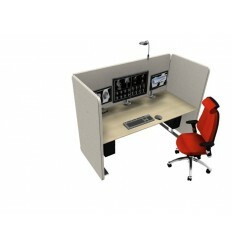 A chair which promotes dynamic and active sitting like the RH Logic 400 is a very important preventative measure and solution to these problems. 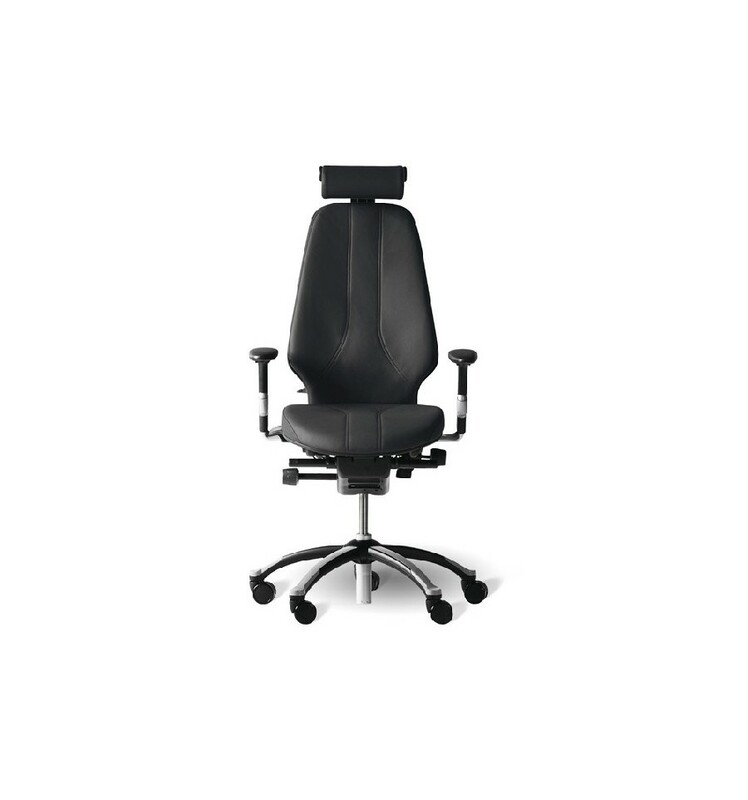 With a Logic 400 you get a made to measure office chair that fits your body, giving you the specific support you need, where you need it. 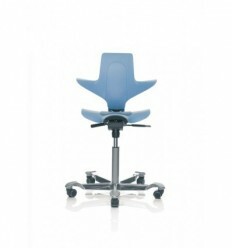 And will also ensure that supports stays with you while you move and work. 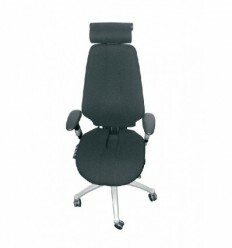 Optional Armrests: Adjustable in height and width. Rotating. Armrest height above seat 215–295 mm. We stock Gaja black, other Gaja colours have a 10 day lead time. This range can be fitted with a range of specialist options. Delivery times may be extended on special requirements. 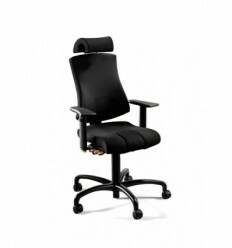 We stock this chair in Gaja Black. In stock items will be dispatched within 24hrs. Please allow 2-4 days for delivery. Other colours have approximately a 4 week lead time. We will email you with a delivery date nearer the time. Box delivery with our courier. 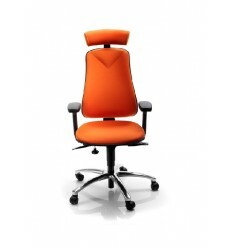 Our experienced chair consultant will be in touch with you to ensure your chair is set up to suit your individual needs. In the event of receiving this chair damaged on delivery please let us know within 24 hours of receipt so that you can make a valid claim. If you change you mind on purchase, please notify us within 14 day of purchase should you wish to return items. You will need to ring for a Returns Note Number, which you will need to quote when returning items. Goods must be unused, unopened, in a saleable condition and in their original packaging. If the item has been sent in error or is defective KOS will arrange collection and return. Otherwise the onus is on the customer to arrange and pay for the return of the items. Refunds will be issued on receipt of returned goods in saleable condition. Sofia M. on 16/01/2017 Excellent build and service. They came out as agreed and on time to set up the chair for the me with no problems. 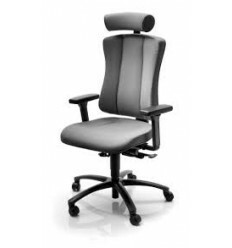 Ciara C. on 28/08/2016 I already have this chair at work so I know how good it is for my back. I need it because I've a really bad injury! Eva G. on 26/10/2016 I can now sit down comfortably again! Back in work with no pain! Erin H. on 14/05/2017 I want to thank Frank for all his time and expertise. He was so patient with me and I felt bad how long I was taking. Frank advised me on what I needed and made sure I was happy with my final choice. The fact he came out and set me up on the chair after I bought and set my desk up was invaluable! Really thanks a lot Frank! Niamh K. on 05/10/2017 Very comfy chair that suits my needs.